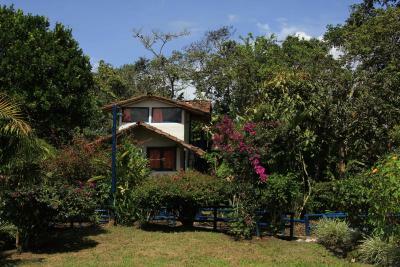 Lock in a great price for Hotel Casa de Nelly – rated 9.4 by recent guests! Beautiful gardens with areas to relax or socialize. Out of town so a walk or taxi (for uphill return). Makes for a very peaceful environment and birds love the established gardens. Friendly and helpful staff. I would love to return! Super clean, friendly staff, great location, beautiful gardens. Everything was great ! Staff very very helpful and open, relaxing enviernoment to rest after a day tour, clean bathrooms and showers, located outside of loud city. Hurry up to book, otherwise you will regret it. Thank you very much for service and attention! Nice place with a hostel environment. Clean, nice staff in a quiet countryside setting. hostel with the best online marketing in town. 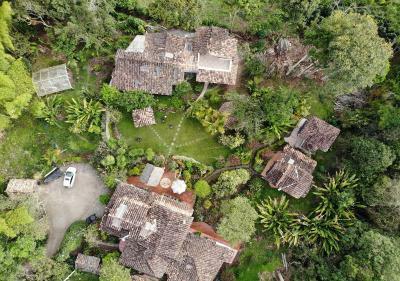 Huge garden with plenty of places to relax, easy to meet other travelers, good mix of ages, free filtered water, friendly doggies, tasty communal dinners (optional). The place is a bit out of town which at first seemed like a bad thing but I came to really appreciate. Staff were the most helpful we experienced in Colombia. Nice breakfast and dinner. Lots of beautiful spots to relax on the grounds. This is an amazing place with a fantastic garden. We've stayed longer than we have planned to recharge ourselves before continuing to Ecuador. It is highly recommended with good and clean facilities, friendly staff, an amazing garden, a chill vibe and a great fireplace. The property itself is gorgeous. Beautiful garden. Every detail has been well planned. Buildings are fairytale like. Magic! 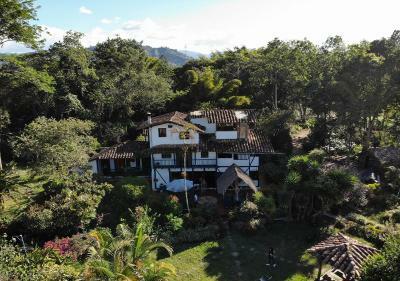 One of our best sellers in San Agustín! Hotel Casa de Nelly has a garden, terrace, a shared lounge and bar in San Agustín. Free WiFi and a 24-hour front desk are available. A variety of popular activities are available in the area around the guesthouse, including cycling and hiking. 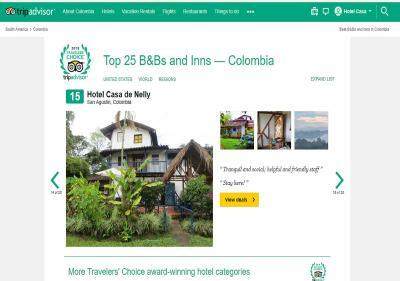 When would you like to stay at Hotel Casa de Nelly? House Rules Hotel Casa de Nelly takes special requests – add in the next step! Please inform Hotel Casa de Nelly of your expected arrival time in advance. You can use the Special Requests box when booking, or contact the property directly using the contact details in your confirmation. Casa Nelly is a wonderful place!! 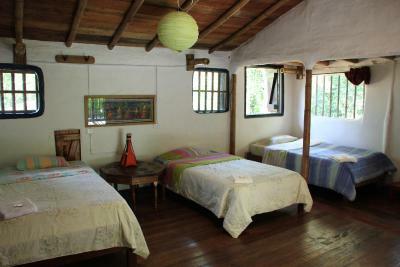 It is just perfect to relax and meet other travelers, and it is ideally located to explore the San Agustin area. The rooms are in different buildings all around the central garden, which is so beautiful and peaceful. 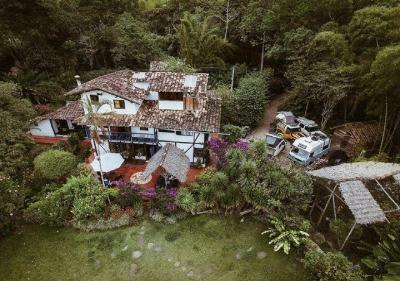 You can do like the house cats and just be lazy and hang around and dream away in one of the hammocks, or play with one of the two lovely dogs, or you can engage in one of the many activities. I would definitively recommend the horse riding trip that Harry (the host) arranged for us: a 4 hr exploration on horse of the immediate surroundings, but also with stops at various places to watch statues outside of the park, and the incredibly nice views of the Rio Magdalena valley. If you want to visit the archeological park itself, that is just a 45' stroll away up- and downhill via a non-paved countryside road where you can look at farms and make a stop at one of the bar-restaurants that try to make a living by offering the passing-by tourist refreshments, a meal or souvenir. 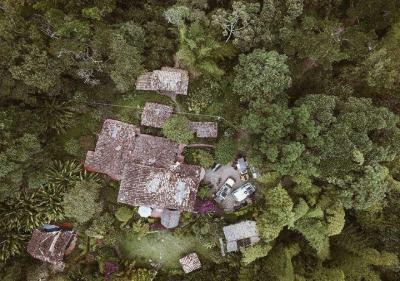 The village of San Agustin is a 15' walk in the other direction, it goes downhill and to get back and avoid the steep climb, a motto-taxi from the village costs will cost you 3000 pesos (1 USD)... Rooms are nicely decorated with eco-friendly materials, showers are hot, and at night it is all peace and quiet, you will sleep as a rose. Breakfast is the best I got on my Colombia-trip so fare: yoghurt, cereals, fresh fruit, eggs, toast,.... I can't think of a better place in San Agustin then Casa Nelly. There is not really something special I did not like. Especially for this price, you get a lot. As this is in nature, you might have some trouble with mosquitoes. I didn't experience it but of course, you're in nature so it could happen. The amazing staff and friendly people. It really had a welcoming and cozy vibe. The surroundings are beautiful and tranquil. They offer good breakfast and dinner. A bit further away for the centre but in the middle of nature with some great views and places to relax. The staff was even that friendly to don't charge me for a night of my reservation as I left a day earlier. We had a great stay at Casa de Nelly. We arrived at 4:30 am and that was no problem at all. We even could use a private room without additional costs, to have some hours of sleep. Staff is really friendly and helps arrange trips and transport! Beds and showers are great and the dinner from the BBQ was amazing! Highly recommended! Best hostel we've seen in Colombia. Casa de Nelly is a little paradise. The staff is great and really helpful. They even have a chef who cooks an amazing dinner in the evening (not included in the price). We had a small house to ourselfes, with a very nice bathroom and really hot shower. The garden is very nice as well. Town is only 15 minutes by foot away. Nice quite location was pleasant. After 5 months of travelling I think this is now my favourite place to stay! 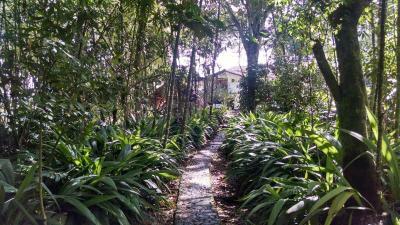 Located just outside of town in a beautiful and peaceful garden setting. Has a large communal kitchen so there is the option to cook for yourself or they cook dinner every night, just pop your name on the list. The communal area is cozy and comfortable, loved chatting to other travellers in front of a fire with a cat on my lap! The best part? Harry the owner. He helped us with our terrible Spanish but speaks English as well. Gave very honest advice about the best tours to do. I was unfortunately sick during our time in San Agustin and he genuinely cared how I was getting on, even made me natural tea to help settle my stomach! As well as fast WiFi and hot water, this hostel ticks all the boxes and we could have easily stayed there another week! We had a great stay in Casa de Nelly! We especially liked the beautiful garden and the view to the City. We had a lange, very clean room with a beautiful balcony. We highly recommend this place!